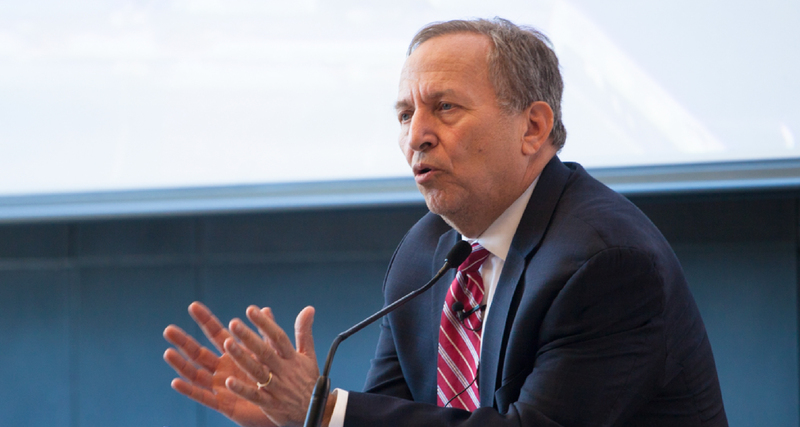 Canada 2020 is pleased to welcome back to Canada Dr. Lawrence Summers, President Emeritus and University Professor, Harvard University; Distinguished Senior Fellow, Center for American Progress; and Special Advisor, Andreessen Horowitz Venture Capital. On April 6, 2015, Dr. Summers will deliver a keynote address at the Rotman School of Management entitled The Fierce Urgency of Fixing Economic Inequality Worldwide. This event is free and open to the public, and is brought to you by Canada 2020 and the Martin Prosperity Institute. In July 2013 Prof. Summers was named Co-Chair of the Inclusive Prosperity Commission. The Commission is a transatlantic group convened by the Center for American Progress, a public policy research and advocacy organization. The Commission is composed of high-level American and international policymakers, economists, business leaders, and labor representatives and charged with developing new and thoughtful solutions to spur middle-class growth. Chrystia Freeland, Member of Canada’s Parliament, serves on the Commission. In January 2015 the Commission released its proposals aimed at establishing sustainable and inclusive prosperity over the long term in developed economies, with a specific focus on raising wages, expanding job growth, and ensuring broadly shared economic growth. Their report analyzes the global trends that are buffeting the middle class and those who want to get into it, as well as new ideas to address it. Some of Prof. Summers’ remarks will be based on the report’s proposals.